The Last Biplanes Squadron Pack allows you to field the Gloster Gladiator and the Fiat CR.42 Falco: the last, agile biplanes that fought from Finland to Africa, from the Battle of Britain to the Eastern Front. Among the included planes are the three famed Gladiators â€“ Faith, Hope, and Charity, that defended Malta in its most dire days. 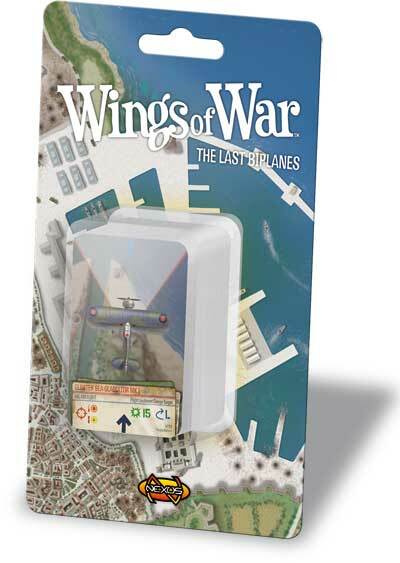 The Last Biplanes Squadron Pack is composed of 27 airplane cards and 2 decks of Maneuver cards (J).